In Mikisew Cree the Supreme Court of Canada considered the question of whether the Crown’s duty to consult and accommodate Aboriginal peoples extends to the legislative process. Mikisew Cree First Nation sought a declaration acknowledging the role of ministers in developing policy for the formulation of legislation as “Crown conduct” that triggers the Crown’s duty to consult and accommodate. The Court also addressed whether s.18 of the Federal Courts Act provides the Federal Court with jurisdiction to review matters engaging the law-making process and whether enabling courts to review legislative processes would be in keeping with Canada’s constitutional order. While the Court was unanimous in deciding that the Federal Court lacked the jurisdiction to consider the question under s.18 of the Federal Courts Act, it was divided as to whether an executive actor could be said to have a duty to consult while participating in the legislative process and why. In the result, a 7-2 majority of the Supreme Court of Canada ruled that the Crown’s duty to consult and accommodate Aboriginal peoples does not apply to any stage in the legislative process. At the same time, a 5-4 majority of the Supreme Court of Canada concluded that the constitutional principle of the honour of the Crown applies to legislative processes even if these justices disagreed over whether the duty to consult was the appropriate means to uphold the principle in this context. Karakatsanis J, writing the judgment for herself, Wagner CJ and Gascon J, held that the duty to consult cannot apply to the law-making process as this would contradict the constitutional principles of the separation of powers, parliamentary sovereignty and parliamentary privilege. She added that as a matter of pragmatism, imposing a duty to consult on the policy development stage of the legislative process could limit the possibility of meaningful accommodation since a proposed bill can be freely amended once introduced into Parliament. It would also lead to incongruous treatment of private member bills that do not involve any comparable Crown conduct to trigger the duty. Karakatsanis J concluded that the duty to consult doctrine is ill-suited to be applied directly to the law-making process. At the same time, Karakatsanis J held that the constitutional principle of the honour of the Crown applies to the law-making process and that it would undermine the endeavour of reconciliation to allow the Crown to use legislation to circumvent its duty to consult and accommodate Aboriginal peoples. She pointed out the Ross River decision of the Yukon Court of Appeal where it was stated that legislation will be unconstitutional to the extent that it prevents meaningful consultation and accommodation from occurring. Karakatsanis J left open the possibility of other remedies for breaches of the honour of the Crown in the legislative context and suggested that the extent of any consultation may be a relevant consideration to other forms of recourse. Brown J affirmed the conclusion that the constitutional principles of the separation of powers and parliamentary privilege prevent the judiciary from applying the duty to consult to the law-making process. He also opined that Crown conduct necessarily excludes parliamentary functions of the state and thus these functions cannot be subject to a duty to consult. Finally, he indicated that by leaving open the possibility that there may be other doctrines developed to enable review of the legislative process, even in the absence of a successful claim that Aboriginal or treaty rights have been unjustifiably infringed, the judgment written by Karakatsanis J undermines the conclusion that constitutional powers prevent judicial review of the legislative process. He stated that this position leaves the law in a state of considerable uncertainty and invites Aboriginal peoples to return to the courts to identify what “other form of recourse” might be available as an alternative to the duty to consult in the legislative context. Writing for himself along with Moldaver and Cote JJ, Rowe J affirmed the arguments articulated by Brown J, and elaborated on three further points. First, he indicated that Aboriginal claimants continue to have remedies pursuant to the Sparrow, Haida and Rio Tinto decisions once legislation is enacted. Second, he outlined how the recognition of the duty to consult in the legislative process could be disruptive to the legislative process and pointed to numerous questions that are raised by imposing a duty of consultation on legislatures. Finally, he argued that providing the Mikisew Cree with the declaration they sought would demand that courts become interventionist in a manner that is not in keeping with the principle of separation of powers. Abella and Martin JJ articulated a different vision for the judicial review of the legislative process. Writing for both Martin J and herself, Abella J held that any consideration of the duty to consult must begin with the Honour of the Crown and the overriding goal of reconciliation. In that light, she stated that the Court must reconcile the need to protect the legislative process from judicial interference with the need to protect Aboriginal rights within the legislative process. Abella J acknowledged that recognizing the honour of the Crown and duty to consult in this context may impact the legislative process, but held that the need for adjustments could not justify the erasure of constitutionally mandated rights. She noted that section 35 was recognized as a constitutional limit on the exercise of parliamentary sovereignty in the Sparrow decision and objected to parliamentary sovereignty now being used as a shield to prevent a claim for consultation. Abella J’s reasons highlight the essential role that the honour of the Crown and the duty to consult play in reconciling Aboriginal and Crown sovereignty. Abella and Martin JJ reasoned that the courts ought to play a role in evaluating whether legislative processes are in keeping with the special relationship between Indigenous peoples and the Crown. The full reasons of the Supreme Court of Canada can be found here and a short summary is provided here. Gitxaala Nation v Canada, 2016 FCA 187: The Federal Court of Appeal quashed the Order in Council and Certificates of Public Convenience and Necessity for the Northern Gateway pipeline project that was proposed to be constructed between Bruderheim, Alberta and Kitimat, British Columbia. The Court found that the federal Crown’s consultation on the project fell “well short of the minimum standards prescribed by the Supreme Court in its jurisprudence”. Among other issues, the Crown failed to engage in a respectful and meaningful dialogue on the First Nations applicants’ asserted Aboriginal title and governance rights, instead choosing to restrict itself to the discussion of mitigation of environmental impacts as a form of accommodation. The Crown also failed to provide any reasons for its conclusion that its duty to consult and accommodate had been met prior to issuing the Order in Council. Pimicikamak Cree Nation v Manitoba, 2016 MBQB 128: The Court of Queen’s Bench of Manitoba dismissed Pimicikamak Cree Nation’s application for judicial review of the provincial Crown’s decision to enter into a settlement agreement with Manitoba Hydro and the Incorporated Community Council of Cross Lake. One issue in the litigation was the concern raised by Pimicikamak, representing the traditional government of the Cross Lake Cree, that the Cross Lake community (a municipality made up primarily of Aboriginal people) was not a collective entity capable of representing Aboriginal people or settling their claims, and was fragmenting the Aboriginal people in the area. The Court rejected Pimicikamak’s arguments that Crown consultation on the settlement agreement started too late, was not meaningful or sufficient, and foreclosed accommodation. The Court also upheld the Crown’s decision not to entertain changes to the agreement that Pimicikamak proposed, finding that Pimicikamak was attempting to negotiate in a way that would cause the Crown to abandon the settlement agreement it had negotiated in principle with other parties. Sipekne’katik v Nova Scotia (Environment), 2016 NSSC 178: In the underlying matter, Sipekne’katik has appealed the Crown’s approval of a natural gas storage facility at Fort Ellis, Nova Scotia, alleging that the provincial Crown breached its duty to consult and failed to provide the First Nation with procedural fairness with respect to the project’s approval. In this case, Sipekne’katik applied for a stay of the approval pending its appeal. The Supreme Court of Nova Scotia rejected Sipekne’katik’s application on the basis that Sipekne’katik failed to provide sufficient evidence of irreparable harm. Among other things, the Court held that the project had mitigation measures in place designed to reduce or avoid any adverse impacts, and there was insufficient evidence of irreparable harm to the Crown’s ability to engage in meaningful consultation if the stay was not granted. Canadian Human Rights Commission v Canada, 2016 FCA 200: The Federal Court of Appeal upheld the Canadian Human Rights Tribunal’s dismissal of two complaints regarding section 6 of the Indian Act, which prevents the complainants from registering their children under the Act. The complaints were dismissed on the basis that the Federal Court of Appeal had already previously concluded that federal human rights legislation does not authorize complaints directed at legislation per se, and the complaints were characterized as just that. While the Court took note of the “sorry state of the case law and its lack of guidance on when decisions of human rights tribunals interpreting provisions in human rights legislation will be afforded deference”, it concluded that the tribunal’s decisions ought to be reviewed on a standard of reasonableness. It then determined that the dismissals were reasonable. Dickson v Canada, 2016 FC 836: The Federal Court allowed an appeal from an order striking certain defendants from the statement of claim in an action for damages over the Minister of National Revenue’s refusal to renew a federal tobacco manufacturing licence. The claim was originally struck as against all defendants except the federal Crown on the basis that the liability of the other defendants was grounded in provincial law. On appeal, however, the Court held that the plaintiffs’ claim against several of these defendants was “in pith and substance” based on federal law and governed by a detailed federal statutory framework essential to the outcome of the case – namely, the Indian Act. Re Constitutionality of Abegweit First Nation Custom Election Rules, 2016 FC 750: The Federal Court addressed an application for a reference under s 18.3 of the Federal Courts Act regarding the constitutionality of Abegweit First Nation’s custom election rules in terms of its treatment of off reserve members. More specifically, Chief and Council were seeking a declaration that restrictions against off reserve members voting or running in the First Nation’s custom elections were contrary to the right to equality under s 15 of the Charter. In 2009, council attempted to amend the custom rules restricting off reserve members from participating in elections to bring them in line with new jurisprudence on this issue, but the amendments were rejected in a plebiscite vote. The Court held that it did not have jurisdiction to hear and determine this matter because it did not originate from any ongoing proceeding and there was no proper factual basis to determine the Charter issue. Kikino Metis Settlement v Husky Oil Operations Ltd, 2016 ABCA 228: The Alberta Court of Appeal determined an application for permission to appeal an order of the Metis Settlements Appeal Tribunal Land Access Panel in relation to annual compensation rates for surface lease sites. The Court granted leave to appeal from the Panel on three grounds in relation to statutory interpretation of the Metis Settlements Act. However, the Court denied Kikino the opportunity to appeal from the Panel on the ground that s 125 of the Act infringes s 15 of the Charter. Kikino sought to compare the timeline for compensation reviews under the Metis Settlements Act with the comparable provisions of the Surface Rights Act for the purposes of its Charter argument. The Court found that there was no proper factual foundation to address the Charter argument on appeal. R v Fehr, 2016 SKPC 87: The Saskatchewan Provincial Court addressed Gladue factors in context to the sentencing of an Aboriginal offender for robbery. Among other factors, the Court noted that Ms. Fehr had been apprehended at the age of 3, and lived in 13 different foster homes between the ages of 3 and 5 before being adopted at age 5 by a Caucasian family, along with her two sisters. In taking note of Ms. Fehr’s Gladue factors, the Court noted that she was “raised by a loving family not of her own culture” and “separated from her [A]boriginal community”. In the Court’s view, “Native children raised by non-[N]ative families face unique challenges of identity, community, and social development”. R v Robinson, 2016 BCSC 1269: The British Columbia Supreme Court addressed Gladue factors in context to the sentencing of an Aboriginal offender for breaking and entering and mischief. The Court found that Mr. Robinson was adopted when he was seven months old, raised in a “non-[A]boriginal” setting, and had only limited interaction with his biological mother and First Nations community of origin. The Court held that the Supreme Court of Canada’s concerns in the cases of R v Gladue and R v Ipeelee were relevant but “attenuated in Mr. Robinson’s circumstances”. R v Joe, 2016 YKTC 31: The Yukon Territorial Court addressed Gladue factors in context to an Aboriginal offender’s refusal to comply with a breathalyzer demand, among other charges. The Court noted that it “had the benefit of a thorough, detailed and reliable [Gladue] Report” and the “background of this particular offender [was] rife with Gladue factors”. Among other things, Mr. Joe had endured sexual and physical abuse during ten years that he spent in “one of the more repressive and brutal residential schools in Canada”. Nevertheless, the Court held that Mr. Joe “should have almost no particular consideration afforded to him as an [A]boriginal offender” and that the relevance of Gladue in this case was “infinitesimal in and of itself”. The Court also stated it had no evidence before it that Aboriginal offenders are over-represented in jail on account of drinking and driving offences. R v Alec, 2016 BCCA 282: The British Columbia Court of Appeal heard an appeal from an Aboriginal offender’s conviction for second degree murder in which the appellant sought to set aside his guilty plea on the grounds that it was invalid and his conviction was a miscarriage of justice. In arguing his appeal, Mr. Alec sought to adduce fresh evidence in the form of a Gladue report addressing the concept of ‘Aboriginal fatalism’ to explain his failure to make a timely application to set aside his plea. Mr. Alec’s appeal was dismissed and the Court of Appeal raised several concerns with the way in which the Gladue report was relied upon in this appeal: it was not in an admissible form and the portion relied upon was entirely hearsay; the portion relied upon constituted opinion evidence that could only be admitted through a qualified expert, which the author was not; and the report was not found to be relevant to the validity of the guilty plea at issue. R v Haley, 2016 BCSC 1144: The British Columbia Supreme Court addressed a Crown application to have an Aboriginal offender designated a dangerous offender and sentenced to an indeterminate period of incarceration in a federal penitentiary. Among other arguments, Mr. Haley raised the Federal Court’s 2015 decision in Ewert v Canada, where it was found that the same actuarial risk assessment tools applied to Mr. Haley “are susceptible to cultural bias and therefore are unreliable” in context to Aboriginal offenders. The Court upheld use of these same tests for the following reasons: the Crown’s expert evidence was not based exclusively on the use of these tools, but rather on a more broad-based and comprehensive reflection on all available information; the Crown’s expert testified that her opinion would not change even if she factored out any reliance on the contested tools; the evidentiary record was different from that in Ewert in terms of the reliability of the tools; and the context was different in this case, as sentencing courts addressing dangerous offender applications “should be given access to the widest possible range of information in order to determine whether there is a serious risk to public safety”. R v Awasis, 2016 BCPC 219: The British Columbia Provincial Court addressed the application of actuarial risk assessment tools to Aboriginal offenders in context to a dangerous offender application raised during a sentencing hearing for two counts of sexual assault. The Court distinguished the Federal Court’s findings in Ewert on the basis that in this case the actuarial tools were only used “as a very small part of a wide ranging consideration of Mr. Awasis’ psychological make-up, his antecedents, and his future prospects”, as part of “a contextual and individual review of Mr. Awasis’ risk level”. The Court held that the findings in Ewert were “part of a decision of another trial court respecting quite different issues than those that arise in the case at bar”. McMurter v McMurter, 2016 ONSC 1225: The Ontario Superior Court of Justice addressed whether a spousal support order could be secured against a support payor whose significant assets are located on land subject to the provisions of the Indian Act. Both the support payor, Mr. McMurter, and payee, Mrs. McMurter, are members of the Mohawks of the Bay of Quinte and live on reserve. While s 29 of the Act prohibits the seizure of reserve land by a “non-Indian”, s 89 provides an exception for seizures in favour of another “Indian” or “band”. The Court granted Mrs. McMurter an order to charge and lien the Certificates of Possession held by Mr. McMurter as security for a spousal support order, subject to approval by the Mohawks of the Bay of Quinte and the Minister of Indigenous Affairs, which is required by the Act. Fontaine v Canada, 2016 ONSC 4326: The Ontario Superior Court of Justice addressed a request for directions arising from the rejection of the claimant’s application for compensation for his undisputed sexual abuse at the Spanish Boys’ Residential School. The adjudicator had dismissed the application on the basis that the sexual assaults occurred after the school had closed, and this decision was subsequently upheld on review and re-review. In preparation for its response to the request for directions, Canada found documents undermining the adjudicator’s conclusion and those documents were brought to the Court’s attention. The Court held that the adjudicator made a palpable and overriding error of fact that the review adjudicator and re-review adjudicator failed to correct. The Court substituted its own decision on the merits of the claim rather than remitting the matter to be redetermined, finding in favour of the claimant. Fontaine v Canada, 2016 ONSC 4328: The Ontario Superior Court of Justice revisited “the bedevilling problems of documentary disclosure for the [Independent Assessment Process] claims for the St. Anne’s Indian Residential School and for Bishop Horden Indian Residential School”. 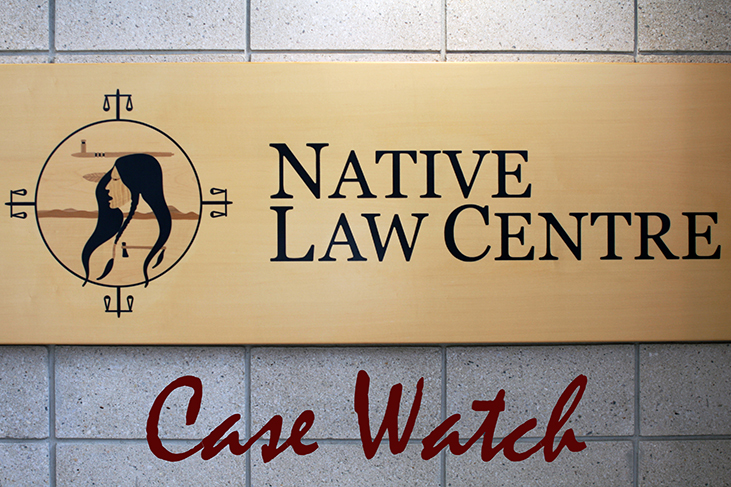 The Court found that the request for directions in this case was aimed at having the court order a new hearing for one of the claimants based on a revised record, and re-open many if not all claims for St. Anne’s and other residential schools. The Court also suggested that counsel for the claimant was attempting to use the request “as a public commission of inquiry about the integrity of the IAP process”. The Court granted the claimant confidentiality orders as preliminary relief but adjourned other preliminary matters raised by the claimant as the review process had not yet been exhausted for his claim. Fontaine v Canada, 2016 BCSC 1306: The British Columbia Supreme Court addressed a request for directions from the Merchant Law Group (MLG), which sought to retain a portion of a client’s award under the Independent Assessment Process to apply to outstanding accounts for other unrelated matters. An agreement between MLG and the client for application of a portion of the award to other accounts was held to violate the settlement agreement, as were the client’s direction that MLG do so. The request was dismissed and MLG was ordered to pay its client the withheld amount forthwith. Children’s Aid Society of Ottawa v LF, 2016 ONSC 4044: The Ontario Superior Court of Justice allowed a motion to set aside the dismissal of an appeal in this matter for delay. The underlying appeal involves a constitutional challenge to statutory definitions in the Child and Family Services Act that limit special considerations for Aboriginal children to a subset of those children that would qualify as Aboriginal under s 35 of the Constitution Act, 1982. The appellants were given until July 15 to perfect their appeal. Saskatchewan v Saskatoon Tribal Council Health & Family Services Inc, 2016 SKQB 236: The Saskatchewan Court of Queen’s Bench addressed an application seeking various interim orders to allow the Saskatchewan government to reassert control over child and family services on reserve for First Nations represented by the Saskatoon Tribal Council. In the underlying action, Saskatchewan seeks a declaration that it lawfully terminated an agreement delegating ministerial authority under the Child and Family Services Act to the Saskatoon Tribal Council agency. The Court granted Saskatchewan the interim relief it sought, including injunctive relief preventing the agency from interfering with Saskatchewan’s provision of child and family services on reserve or providing those services itself.